After seeing AJ’s [literal] killer performance in Dead 7 last year as Johnny Vermillion, we had no doubt that we’d see him back on the screen soon. What we couldn’t predict is that he would go from villain to Disney cartoon. 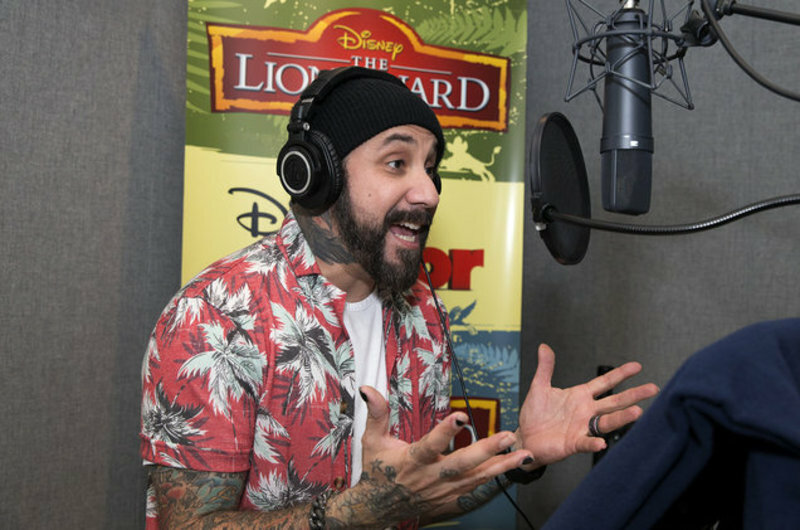 Billboard revealed today that AJ will be voicing a new character on the newly popular Disney TV series, The Lion Guard. Spun off of the popular 90s film The Lion King, he will be the voice behind a blind golden mole who thinks he is a ninja. We can’t think of anyone better to play this fun part! Oh, and did we mention that the character (named Kuchimba) also sings and will have his own song in the show? Stay tuned for details on when the show will air. In the meantime, watch AJ surprise the guys from the viral internet video “Back To The 90s” by showing up to invite them to an upcoming BSBVegas show. We hope to see them join the Boys onstage very soon!